In theory DPAF can't hunt, after 2 measurements it can calculate how far away the subject is and move to that immediately. Apparently contrast AF can't do that. That would be great especially for video: I always like the quality of the "old fashioned" real film movies from 191x to 2010 which had global shutter! Maybe stacked sensor design allows sometimes individual ADCs for small pixel groups which have a readout speed of 10 kHz and the digitized data were read out at 100 Hz and are very precise! in practice it depends on camera *and* lens/AF drive. Plus, when there simply is too little contrast in a scene, any AF system can and will hunt before giving up. Ever seen the 7d series? Large, heavy, crop-sensor cameras. It gives you better balance and stability when you have large, heavy lenses on them. Throw an EOS-M body on a 400mm f/2.8 and it'll be very front-heavy and unwieldy. Canon could release a large, heavy M camera roughly the size of the 7D with the sample build quality and weather sealing. The 7D is my main camera besides my M, so I would seriously consider buying that plus a grip. If Canon goes that way, will it be built like a tank like a 7D or be a sturdy toy-like build quality like the 80D? People able to afford 10k+ lenses like EF 400/2.8 L wuill simply buy an upcoming high-end, hi-rez EOS R and use crop-mode when desired. As simple as that. PS: I had a 7D. Good camera, but too large for my use. Prefer EOS M + EF-M lenses. Canon could release a large, heavy M camera roughly the size of the 7D with the sample build quality and weather sealing. I expect a new flagship EOS "M7", of course not nearly as large as a 7D body. Smaller than any EOS R, basically M5 size, just a bit chunkier grip for (hopefully) a LP-E6N power pack. Decent weather-sealing should really be no problem, if Pentax can do it on 399 cameras. A few O-rings and a bit of PU foam for less than a € in total are all it takes. Plus a top-notch AF system and some fully-blown DIGIC. or the nifty 50 F1.8? 31/ somewhere between 1.2 and 1.4? You have to consider the major design challenges with making a 7d series M camera. They would have to resign literally the entire camera from the ground up to meet the features available on the 7d just for that camera. If Canon is indeed comitted to making the switch from DSLR to mirrorless, they're going to need a 1d replacement. And many of the design features on a 1d easily translate to a 7d, greatly reducing engineering costs. Look at the design of the M series. The memory card slot is inside the battery compartment. You simply can't have that in a professional level camera, it makes using a battery grip impossible, and battery grips are an important accessory for many professional photographers. For an M platform 7d replacement, they'd have to redesign the processing system, and the memory system, and the power management system. Ignoring personal desires, from a fiscal standpoint, an R platform 7d replacement makes much more sense than an M series. You have to consider the major design challenges with making a 7d series M camera. They would have to resign literally the entire camera from the ground up to meet the features available on the 7d just for that camera. "Major design challenges" ... LOL. A mirrorfree "EOS M7" far superior to 7D II would not be very difficult. Vertical grip? Canon just needs to follow innovative Fuji's approach. No significant R&D expense involved. Much smarter design. Rather than a stupid connector "sticking into camera battery slot" a 2 battery grip working in combo with battery in camera = 3 batteries total. Plus even chunkier grip for those who like it big. No big deal really. And still smaller than any EOS R mount camera. If you want a lot more battery power there's always the optional VG-XT3 battery grip. 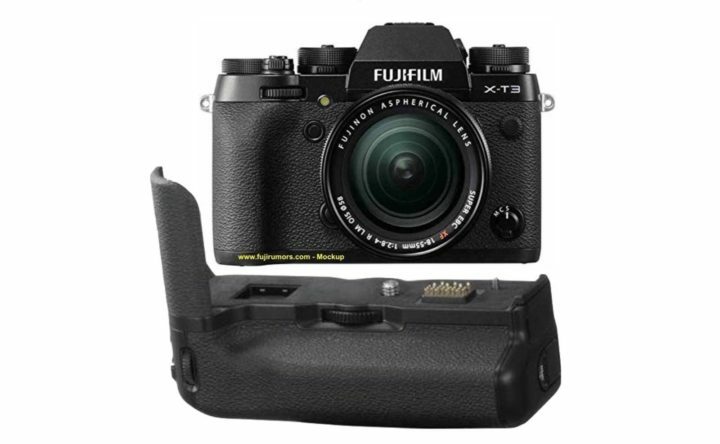 With the grip attached the X-T3 has three batteries, providing almost 1200 shots per charge. Fujifilm has designed the grip in such a way that the camera will switch between batteries seamlessly, so videos and continuous bursts are not interrupted. ... and where is "innovative Canon"? You mean a grip like this? no. I do NOT mean one of Canon's idiotic WFT WiFi bricks. I mean a smart design like the Fuji one. Or what Nikon did with D700 ... a vertical grip that could take either 2 regular batteries or 1 powerful large [D3] battery. Never understood why Canon did not design grip for 7D II that could either take 2x LP-E6N or 1x 1D-X II battery. Simply stupid, Canon. Weird. I, too, loved my 7D mkI, but I love my 7DII much more. The upgrade from the 7D to the 7DII is the largest single upgrade in Canon history. Every single thing about the 7DII improves on the 7D. I can't imagine how anyone could have been even a little disapppointed in the upgrade (it was worth it for the amazing pro-grade AF alone), let alone thinking it a "vast disappointment". Did you own, or even handle the 7DII? There is still no other APS-C camera, Canon or otherwise, I would trade for it. It's a joy to use, and produces amazing results, more than four years after I bought it. During the first year of the 7D2 launch there were a lot of reports of people not getting sharp pictures in any situation. Sending it in for repair mostly fixed it. To me that sounds like Canon had a manufacturing defect and didn't want to issue a recall. Another large portion of the "I don't like it" comments had to do with the combination of larger AF spread and it picking the closest thing to focus on. In the end I didn't buy a 7D2 because it lacked a touchscreen and my 7D1 still worked very well for me. The M1 showed me how useful that is in menus, picture review and the 'Q' menu.